From fender benders to major collisions, auto accidents can take a devastating toll on the body. I had a patient named Grace, who came in to see me the same day following a car accident. Grace was hit from behind and, as a result had severe headaches. She also had pain down her arm as well as in her neck and back. It was hard for her to move and she wanted to get checked out right away. I assessed her for any traumatic injuries that, fortunately, she did not have. There were no broken bones or dislocations, but she did have subluxations, misalignments, and stretching of the soft tissue, which are issues that chiropractic can always help with. I ended up adjusting her the same day and used a laser on the inflamed tissues. When she left her pain was at least 50% better, and her headache was almost gone. She is continuing to have treatment. It’s unusual to see that dramatic of a change after a car accident, and I look forward to continuing to provide her safe and natural care to help her heal. 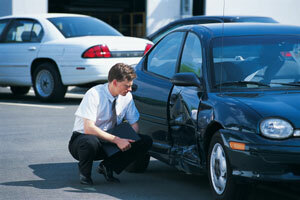 If you’ve been in an auto accident, it’s important to get checked right away. We’re ready to help you feel better and get better!